Leah & Malinda are identical twins but opposite runners. 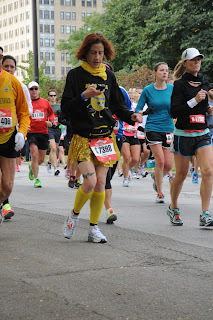 Malinda is the "go with the flow" slower 1/2 who prefers to tweet, instagram & run marathons (4:00:57). Leah is the "garmin obsessed" faster 1/2 who prefers to run as many races as possible while qualifying for the 2013 Boston Marathon (3:35:36). Michael, Leah's brother-in-law, was diagnosed with cancer as a child. Michael kept fighting cancer with his inspiring Irish spirit, so it was very bittersweet when he died on St. Patrick's Day, March 17, 2003. The twins' grandmother, affectionately know as GG, was diagnosed with cancer on Friday, July 13, 2012 and died on Monday, July 16, 2012. 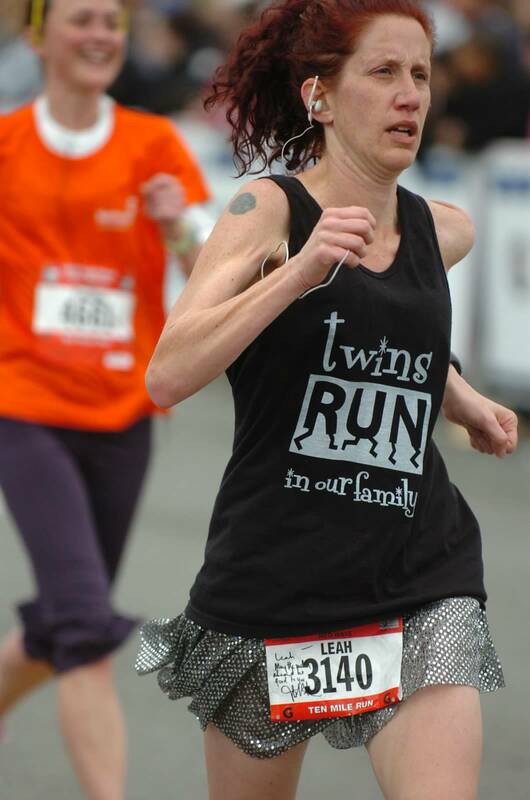 The twins are still grieving her sudden and unexpected death, but they find solace in running in her memory. TWINS RUN 2GETHER in memory of Michael & GG, fighting childhood cancer, one race at a time! No donation is 2 small 2 fight childhood cancer with Alex's Lemonade Stand Foundation! Or, text LEMONADE91404 to 85944 to donate $10.